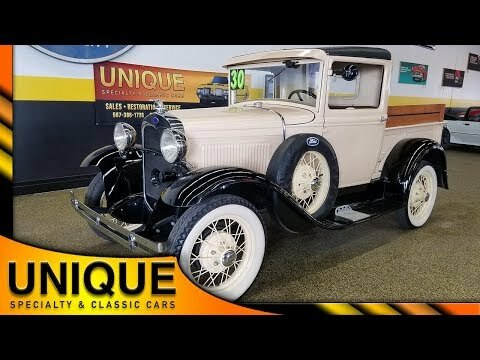 1930 Ford Model A Pickup a very nice driver quality truck. This is sold with a clear MN title. Dual spares on each running board as well as the visor equipped. Riding on wide whites with yellow wire wheels. All steel body painted cream and black. The wood bed, vinyl interior, and the dash are all in nice shape. Door cards are in nice shape also. Very nice starting and running Model A.